The prime minister predicts gas production to grow by 600m–700m cu.m. by the yearend. The government's course of higher domestic gas production will result in an increase in output by 600m–700m cu.m. this year and will allow Ukraine to achieve full energy independence and cut prices by 2020, Prime Minister Volodymyr Groysman told a cabinet meeting on Wednesday, 6 September. "Last year, I announced the policy of substituting imported gas with that produced in Ukraine. The state [gas extracting] company Ukrhazvydobuvannya was tasked to increase production. 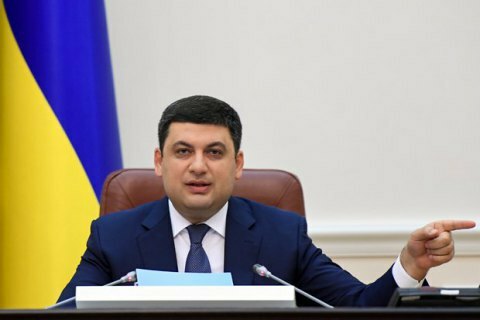 We stopped the production decline and went further to increase production," Groysman said. "When we become a state that can fully provide itself with its own gas, which will be in 2020, we will calculate gas prices in a different manner. It will be cheaper than imported gas – not for a month or two, but once and for all," he said. Last year, Ukraine paid 2.2bn dollars to import 10.9bn cu.m. of gas, which is 33.7 per cent, or 5.5bn cu.m., less than in 2015. In 2016, gas production in Ukraine inched up by 1.5 per cent from 19.9bn cu.m. to 20.2bn cu.m. while gas consumption dropped by 2 per cent, or by 0.6bn cu.m., from 33.8bn to 33.2bn cu.m.